Welcome to the New and Improved Land Surveyors United Network. Please keep in mind that we are currently migrating and organizing more than 1,894,550 pages from the former platform and snapping them into the appropriate position and category, which has been prepared within the new structured framework . I hope you all enjoy this new platform for land surveyor communication and will take advantage of the many tools and resources that it offers. As you will see, all of our content has been migrated over to this new framework and in some places we are still putting some final touches on the organization. There are a ton of new features that you will stumble upon while exploring the pages of this platform. You should immediately be able to recognize that our new network is categorized and organized under HUBS (formerly Groups), which are micro-communities based upon surveying related subjects, member locations and surveying equipment social support. If you were a member of groups on the old network, you will be pleasantly surprised at the new capabilities of Hubs and should already be following the Groups you've contributed to in the past. Inside Hubs, you can upload your photos, ask more targeted questions and get crowd-sourced answers/feedback from surveyors who are familiar with your problems. Dive in, have fun, learn something new and share what you know for the future of land surveying. Our social support network community welcomes all geospatial professionals, land surveyors, surveying students and professors of surveying around the globe. We encourage storytellers to share their experiences in land surveying with the network so that those new to the industry can learn from best practices, tips and tricks and lessons learned. Through exploring our network, you'll find that since 2007, together we have transcended communication barriers which have historically segregated surveyors geographically, in language and by level of experience. We are unifying the industry and building a community by which the everyday surveyor on earth can find targeted support, build their reputation online, increase productivity and have a little fun too. Get involved and share your experiences in land surveying with your fellow surveyors around the world! Old school surveyors become the educators to the new school on Land Surveyors United. Since March of 2007 we have been building the largest community of professional land surveyors on the planet and you are invited! We are UNITED in order to inspire the next generation of land surveyors while promoting public awareness regarding the importance of land surveyors to society, worldwide. You now have a chance to become an integral part of the greatest global surveying support network on the planet because you are now among your peers. The legend of a place to become unified becomes a reality when you participate in the daily life of this community. By sharing your Land Surveying knowledge and experiences you are preserving surveying history for future generations. In this community, we are monitoring current events and sharing surveying technologies with future generations, together. Why should you join Land Surveyors United? Land Surveyors United is the world's largest organization devoted exclusively to advancing the land surveying industry and uniting surveying cultural advocates. The Association’s membership of more than 15k surveyors representing more than 2,700 organizations from over 160 countries is the only organization to bring together such a large number and broad range of global representatives of industry, government and academia with an interest in professional land surveying and geospatial sciences. Become a part of the world’s largest professional land surveyors community, join Land Surveyors United today! We are all here to work smarter, not harder. A Global Surveying Culture is what we are building, together. Land Surveyors United Surveyors You will notice that neither age, gender, race, nor nationality present barriers to effective communication. This is an open place to quiz fresh-out-of-college minds, seasoned professionals, and students of the profession. 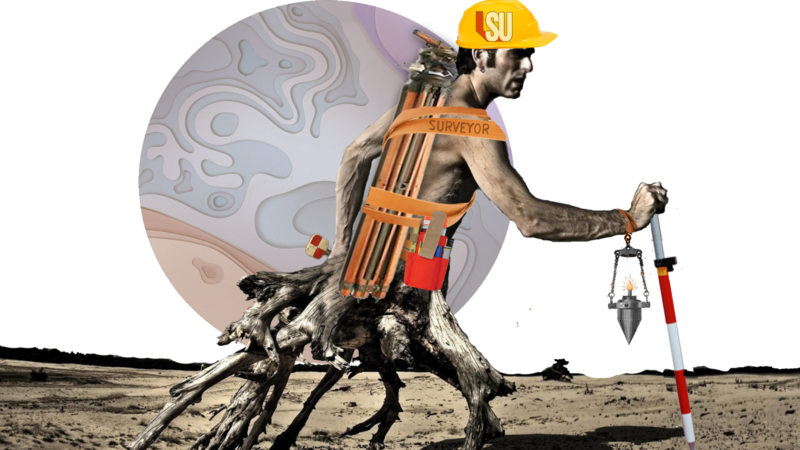 Land Surveyors United was initially built as a test to see if a real online community of surveyors could be possible. Beginning in March of 2007, we began purposefully removing many of the barriers which have historically segregated land surveyors from one another geographically. We realized by 2010 that it was needed.. Now it is a quest for helping surveyors build public awareness, grow professionally, and find jobs easily and seamlessly, based upon personal merit and social support. Retired land surveyors are our rock stars, button pushers are the production team and the Party Chief is the director. The public are both the actors and the crowd and as such, they are the writers of history. The more we are able to understand one another, the more the public will remember the importance of the precision that only a professional land surveyor can measure. The story we all share is being written here and you are now co-author. The more you participate in the daily discussions, the more you will appreciate the difference between being alone in your thoughts and being part of a global community that supports the foundation of the profession via thoughtful consideration of its future. As a global community of land surveyors we can push the profession forward, bridge communication and training and help land surveyors both gain the recognition they deserve as well as assist the next generation of land surveyors entering the field. Learn from your surveying community! We look forward to learning from your experiences in land surveying. What did you do before land surveying and why did you switch? What is the most exciting part of your job as a surveyor where you live? What kind of opportunities for advancement have you experienced? What does it take to become a land surveyor where you live?